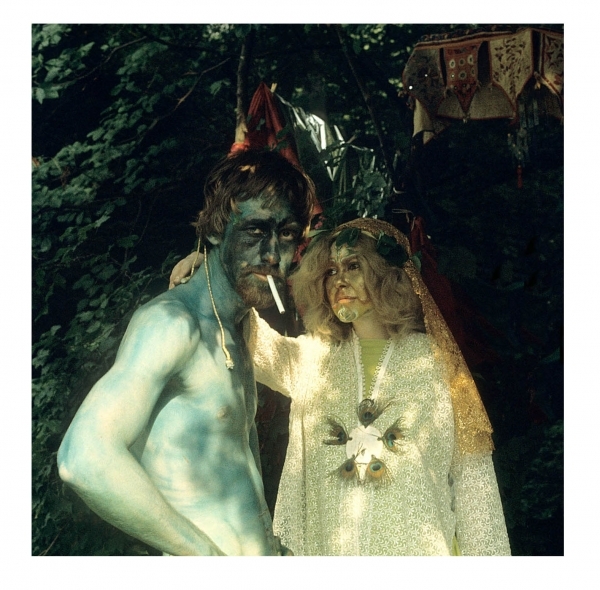 Dreamweapon, The Art and Life of Angus MacLise 1938-1979 is the upcoming exhibit at pop-up/parasite gallery Boo-Hooray, which runs May 10 - May 29. This is the first overview of the lifework of a major American 20th century artistic polyglot. MacLise was a collaborative partner in the early 1960’s with art groups and individuals such as Fluxus (George Maciunas, Yoko Ono), Theatre of the Ridiculous, and Jack Smith. As a poet, MacLise began publishing in partnership with high school friend Piero Heliczer in the late 1950’s, establishing the Dead Language Press in Paris, widely acknowledged as one a most significant small artist book presses of the 20th Century. Together with his wife, artist and underground press illustrator Hetty MacLise, he edited issue No. 9 of the magazine-in-a-box, Aspen, considered a hallmark of American publishing. While residing in Nepal, he formed the Bardo Matrix/Dreamweapon Press with Ira Cohen, issuing poetry in limited editions on handmade rice paper. The press published Paul Bowles, Charles Henri Ford, Gregory Corso and Diane Di Prima among others. MacLise also published his own works and edited the poetry magazine Ting Pa.
On Summer Solstice 1979, MacLise died from hypoglycemia in Kathmandu, and was cremated in the fashion of Tibetan Buddhist funerary rites. The exhibition Opening Party is on May 10th from 6pm to 9pm at 521 W23rd Street in New York City.